Atlanta, GA — January, 31st, 2018 — Craig Taylor has been named a "Most Valuable Professional (MVP)" in the Technology category by Sitecore®, the global leader in experience management software. Craig was one of only 208 Technology MVPs worldwide to be named a Sitecore MVP this year. Now it its 12th year, Sitecore's MVP program recognizes individual technology, strategy, and commerce advocates who share their Sitecore passion and expertise to offer positive customer experiences that drive business results. 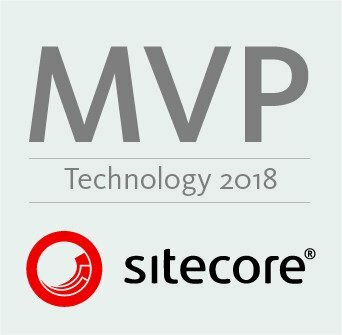 The Sitecore MVP Award recognizes the most active Sitecore experts from around the world who participate in online and offline communities to share their knowledge with other Sitecore partners and customers. 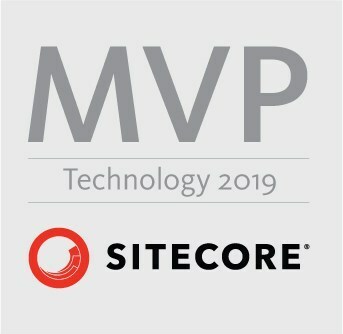 "The Sitecore MVP awards recognize and honor those individuals who make substantial contributions to our loyal community of partners and customers," said Pieter Brinkman, Sitecore Senior Director of Technical Marketing. "MVPs consistently set a standard of excellence by delivering technical chops, enthusiasm, and a commitment to giving back to the Sitecore community. They truly understand and deliver on the power of the Sitecore Experience Platform to create personalized brand experiences for their consumers, driving revenue and customer loyalty." The Sitecore Experience Platform™ combines web content management, omnichannel digital delivery, insights into customer activity and engagement, and strategic digital marketing tools into a single, unified platform. Sitecore Experience Commerce™ 9, released in January 2018, is the only cloud-enabled platform that natively integrates content and commerce so brands can fully personalize and individualize the end-to-end shopping experience before, during, and after the transaction. Both platforms capture in real time every minute interaction—and intention—that customers and prospects have with a brand across digital and offline channels. The result is that Sitecore customers are able to use the platform to engage with prospects and customers in a highly personalized manner, earning long-term customer loyalty. Craig is a five time Sitecore Technology MVP and is a skilled, senior IT professional with over sixteen years of professional experience in Web technologies. He is an expert in architecting and leading teams in delivering Sitecore CMS solutions. Craig has a consistent record of delivering successful software implementations that are on-time and on-budget.